Jarrod Etheridge was born and raised in Orlando. He graduated the University of Central Florida with a Bachelors degree in Criminal Justice and a certificate in Victim Advocacy. In 2018, he graduated from Barry University’s School of Law. 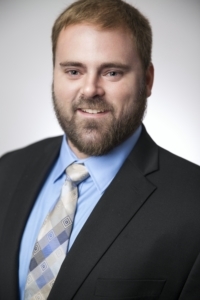 Jarrod has been a part of The Orlando Law Group team since 2016, where he began as a paralegal and has gained experience in every aspect of the law firm. He also has been volunteering with the Avalon Park Kiwanis Club for two years, and currently holds a seat as a board member. Jarrod is located in the Winter Garden Office, and will be handling real estate and estate planning matters.